You can buy a Tesla or a Ford Fiesta. There’s a high and low end, a yin and yang, to every product. With electric bikes, the same is true. There’s a beautifully engineered but expensive Riese Muller e-bike on the high end at $5k to $7k and there are many low end internet e-bikes at around $1500.00. There is no shame in buying an inexpensive e-bike. 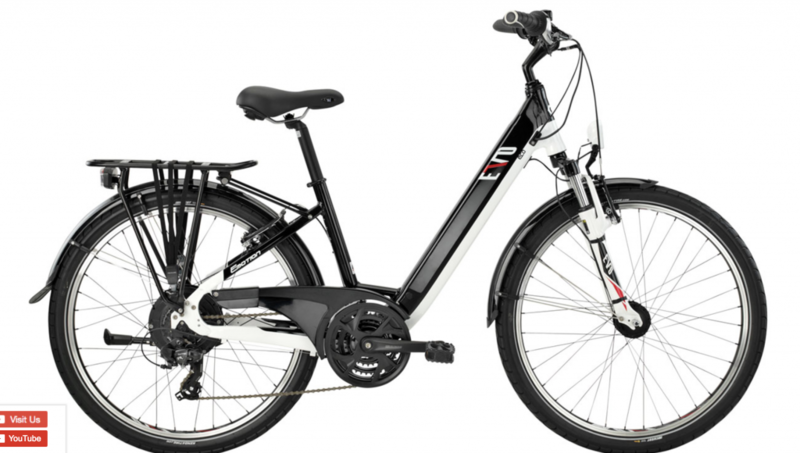 The question is: If you are looking for an e-bike on the low end price-wise, what is the best bike to buy? Funny you should ask that, because Samcycle has the answer. In our humble opinion the Easy Motion Evo Eco is one of the best around. This bike retails for $1999.00. We have it on a sale now for an unmentionable amount that will make you happy. What’s good about this e-bike? Step-through frame. Easy to get on and off. Five year warranty. That’s phenomenal! Front and rear integrated lights. Comfortable seat and adjustable handlebars. There are no disc brakes, just old fashioned pull brakes. This is a great bike for short trips to the store, rides on the bike path and general riding about town. Come in and test ride this one and you will see why a budget bike is not a bad thing.